ASSOS is best known for its superb road cycling kit. Now mountain bikers will have a chance to slip on some of the Swiss company’s apparel. Heretofore best known for its ultra high-end road cycling kit, technical cycling apparel maker ASSOS is launching an XC line of cycling clothing. The new range has been put through its paces by the partnership with BMC MTB Racing Team. Here’s a quick rundown of some of the new pieces from the Swiss company. Crafted using a lightweight Stripe fabric, this off-road specific jersey offers breathability, keeping you cool on the steepest climbs. The underarm features a breathable 3-mesh fabric, while on the back of the jersey, the triple ramp pockets provide security while riding over rough terrain. Colors: corfuBlue / rodoRed / mugoGreen. Price: $159. Mountain biking, trail riding, or gravel grinding; these off-road XC bibs are tough, lightweight and highly breathable. Employing ripstop, high abrasion-resistant and breathable dyneRope fabric, these shorts are highly efficient at wicking sweat away from the body, making them the ideal choice for high output use during the summer months. 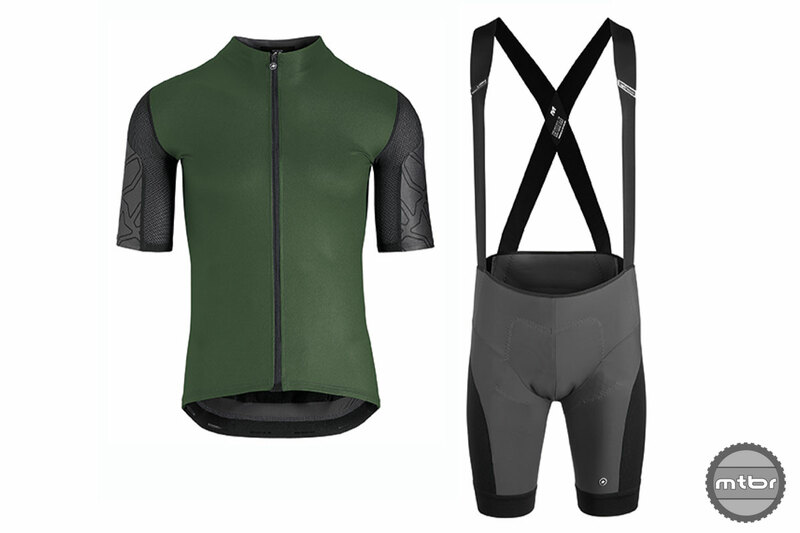 Paired with a heavier skinFoil baselayer and legWarmers, the XC Bib Shorts can also be your go-to short as the temperatures drop. The MTB-specific insert sits slightly further forward than its road counterpart and is composed of 10mm memory foam, offering comfort in the saddle. Color: torpedoGrey. Price: $229. This off-road-specific jersey is ready to endure long days in the saddle, while keeping you sharp for rapid gravel commutes or loops. In line with its male counterpart, the Stripe textile on the front and 3-mesh fabric used on the underarm offer breathability, keeping you cool while hitting the trails on hot summer days. The triple ramp pockets keep your contents secure while riding over rough terrain, leaving you with a tech-savvy jersey for off-road exploring. Colors: twilightBlue / panGreen / cactusPurple. Price: $159. Tailored for female athletes, these XC-tuned mountain bike shorts offer signature ASSOS performance with enhanced durability and comfort. The women’s specific MTB insert is crafted with 10mm memory foam and a reworked positioning of the chamois to satisfy off-road riding. The Y-shaped bibTech features a magnetic clasp running down the center of the chest, which is both easy to fit, unclasp, and will not impede your movement while riding. These shorts can be adapted for colder months with a heavier skinFoil baselayer and leg warmers. This tough, lightweight, and highly breathable pair of shorts will leave you set to hit the toughest trails in comfort. Color: torpedoGrey. Price: $229. For more info and images head to www.assos.com. Has anyone tried a “wicking” offroad jersey that doesn’t get saturated with sweat and actually works? I can’t seem to find one. yes, mission workshop. They make a few T-shits that are really nice. The one i have is mesh. it takes a lot to get to the saturation point.